Interesting observation by Fingal re signs of explosive 'prospecting' on Lamagan. 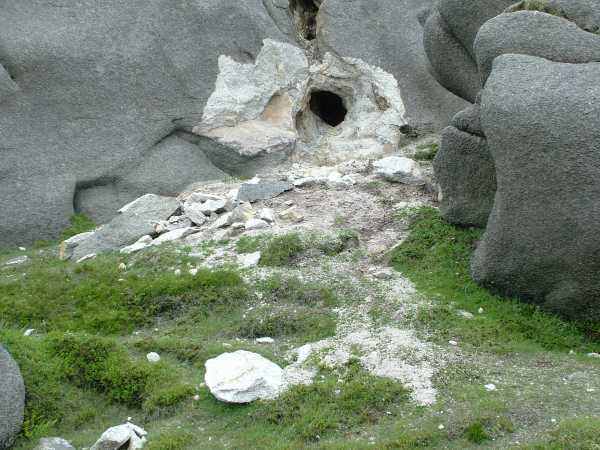 The last time a case of such geo-vandalism arose when an attempt was made on Binnian- pictured here -to open up a 'drusy cavity' in the granite presumably in the hope of extracting large crystals of quartz etc. which can have big commercial value. Such cavities usually occur at the junction of two different granites, as is the case on Binnian. This is not the case on Lamagan (except round its base, near Blue Lough) but there are a number of large intrusive dikes on the summit area which could have potential for goodies - without knowing the exact location it would be hard to say.